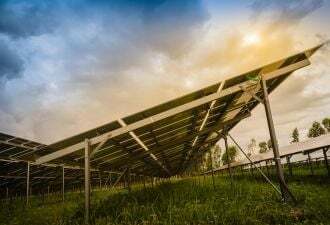 After at least two similar projections, another report forecasts that solar supply will exceed demand as early as next year. Lux Research on Wednesday joined the growing number of cleantech industry watchers predicting the supply of solar equipment will soon exceed demand. Even as the New York-based research firm expects revenues to triple from $21.2 billion last year to $70.9 billion in 2012, it forecasts that 9.57 gigawatts of solar panels will be available in 2009, while demand for solar installations will cap out at 8.96 gigawatts. According to the report, the oversupply will begin narrowing in 2010, but will continue through 2012, when Lux expects a supply of 21.2 gigawatts and a demand of 20.3 gigawatts. Others, including Travis Bradford, president of the Prometheus Institute, a Greentech Media partner, and Jerome Ball, author of the Alternative Energy Trading blog, also have forecast similar troubles ahead for solar (see Solar Margins About to Shrink? and Too Much PV in 2008?). And a group of panelists at a Greentech Media conference in February also said the sector is heading for a shakeout (see Solar Sector Heading for a Shakeout). Solar isn’t the first cleantech sector to battle allegations of a bubble. "Let’s just look at ethanol. 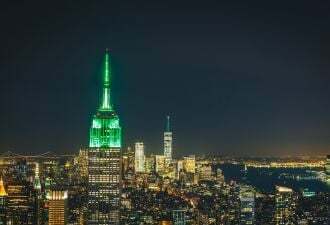 It shows how quickly green can become black and blue," Ira Ehrenpreis, a general partner with venture-capital firm Technology Partners, said at February’s Clean-Tech Investor Summit in California. During the last two years, the ethanol sector has seen a financing downpour. But in the past few months companies have seen their margins squeezed as prices for the crops used to make the fuels have grown while biofuels prices have shrunk (see Ethanol Margins Suffer and Ethanol’s Tough Times Continue). As a result, some industry watchers have questioned if biofuel investors have made overvalued deals (see Range Fuels Fills Up on $100M). But don’t go writing solar energy and biofuels off completely, Ehrenpreis said. "These so-called over-invested areas still have tremendous market potential ahead." Others also disagree with the notion that greentech sectors are in a bubble. Compared with the dot-com industry of the 1990s, far more greentech companies have real assets, Spencer Hempleman, a portfolio manager with Ardsley Partners, said at the Cleantech Forum in California last month. Growing energy prices and climate concerns also are pushing greentech past the bubble stage, he said. And in January, New Energy Fund CEO Mark Cox said there’s still money to be made in solar. "Amidst the bubble thinking in the West, few appear to pick up on the enormity of the solar opportunity," he said at the time. "The German feed-in tariff has been copied by 50 other jurisdictions, and China has pledged [billions] to renewable energy, which just blows away Western budgets for [the] same."